Registration and Orientation Programme – our first year students matter! 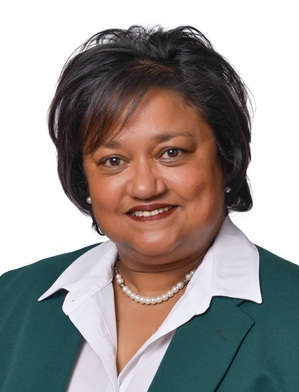 “Our first year students matter and therefore we do not want you to simply survive your first year at university; we want you to have a great experience!” This is according to Ms Prem Coopoo, the Dean of Student Affairs on the Vaal Triangle Campus of the North-West University (NWU Vaal). The new intake of first year students will start with the annual Registration and Orientation Programme as from Monday, 23 January 2017. “During the Registration and Orientation Programme we aim to prepare all first year students for their transition into university life as well as the challenges and opportunities that lie ahead – intellectually, emotionally, academically, and socially,” says Ms Coopoo. It is also Ms Coopoo’s vision that the programme will extend into the academic year and beyond since she is of the opinion that programmes such as these provide students with the necessary support and skills that will push them past their preconceived notion of university study, towards a successful and holistic university experience. According to Ms Coopoo many first year students are potentially at risk when they enter the higher education environment for the first time. She identifies risks such as not coping with life on campus, of not succeeding academically, and not graduating through the university programme as planned as some of the potential pitfalls. “We find that even students who have been academically successful in high school sometimes find the transition to learning at university difficult,” says Ms Coopoo and adds that to ensure that all students succeed the campus has several academic support and personal support structures in place. The first step towards a problem-free transition is full participation in the well-coordinated Registration and Orientation Programme. “The programme is also about helping our new group of students to explore opportunities for involvement in student organisations and to successfully connect them to their new community of peers, senior students and campus staff.” The NWU Vaal boasts with more than 30 student societies (cultural, political, religious etc.) and 14 sports clubs. During the Registration and Orientation Programme a special focus will be placed on sensitive issues such as human rights, stereotyping, LGBTI (Lesbian Gay Bisexual Trans and/ Intersex) rights, emotional intelligence and responsible social media usage. For any enquiries contact the Dean of Student Affairs by sending an email to prem.coopoo@nwu.ac.za or by dialling (016) 910 3244. * The Campus will be hosting a Welcome Day for the new students and their parents on Saturday, 4 February 2017. The Welcome Day follows after the completion of the Registration and Orientation Programme and the purpose of the event is to welcome the new first year students to the North-West University and more specifically the Vaal Triangle Campus.